The PBE has been updated! 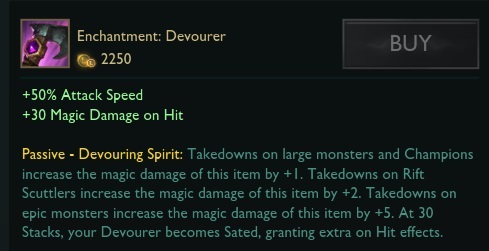 Today's update includes texture tweaks for Master Chef Tahm Kench, the addition of options & camera lock buttons to the HUD Update, Zeke's Herald update available for testing, and oodles of tentative balance changes for Kalista and Tahm Kench. Today's update includes color tweaks for Master Chef Tahm Kench's textures; he's now slightly darker. Check out our 5.13 PBE mega post for a better look at Master Chef Tahm Kench, including his splash art! Buttons to show options & toggle camera lock have been added to the HUD update. These new buttons are located to the bottom left of the mini map. Check out our 5.13 PBE megathread for more on the work in progress HUD update. Unfortunately, the Shockblade Zed Charge chroma pack will not be releasing in 5.13 due to issues with his VFX. [BUG FIX] Gentleman Gnar's transformation has been fixed - he now remains red at high rage until he transforms into Mega Gnar. Martial Poise (Passive) New Effect - Kalista's auto attacks "Deal only 90% of her total attack damage." Sentinel (W) tooltip no longer mentions the passive having minimum damage to minions. In addition to gaining 30-50% movement speed when moving toward's an enemy champion while holding an ally, Tahm Kench now gains half that amount (15/17.5/20/22.5/25%) when not moving toward enemy champions. 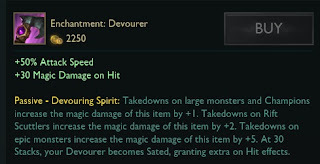 Tooltip now notes that "Takedown's on Rift Scuttlers increase magic damage of this item by +2"
The VFX for this have been fixed in today's update. Video preview available here. 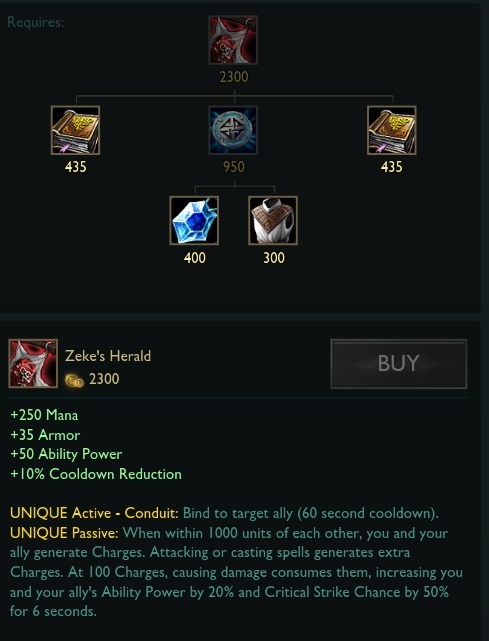 Following the debut in the 6/29 PBE, this updated version of Zeke's Herald now works in game but is STILL MISSING VFX. & the buff tooltips are out dated - these will be fixed in the 7/1 PBE update. For context on the Zeke's Herald changes, see Riot Jag's PBE post. For reference, you gain ~1 charge per second while near each other and ~4 charges for attacks. Non-killing team receives Dragon timer at the first moment they see an enemy with Dragon buff or when they see the empty pit. [source].